I have to honestly say that I’m so glad that God has called me to be a nurse and not a doctor. As a nurse, I do whatever the doctors tell me to do. The doc writes the order and I carry it out. Give Benadryl to this patient. Give IV fluids to that patient. Even though throughout my 8 year nursing career I have developed some level of autonomy, I always have doctors supervising me. I never have to call the shots on my own. I like it that way. I’m glad that they are always there and always know more than I do. It’s comforting. I never have to make life or death decisions for anyone. The doctors do that. 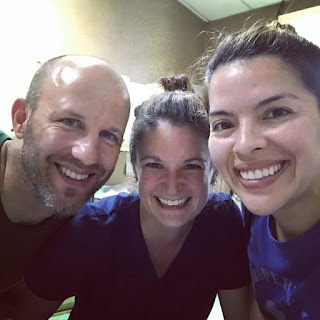 I have the amazing God-given privilege of working with some of the most amazing doctors in the world who have left their families and homes behind to follow God’s calling to care for the physically and spiritually broken in another country. 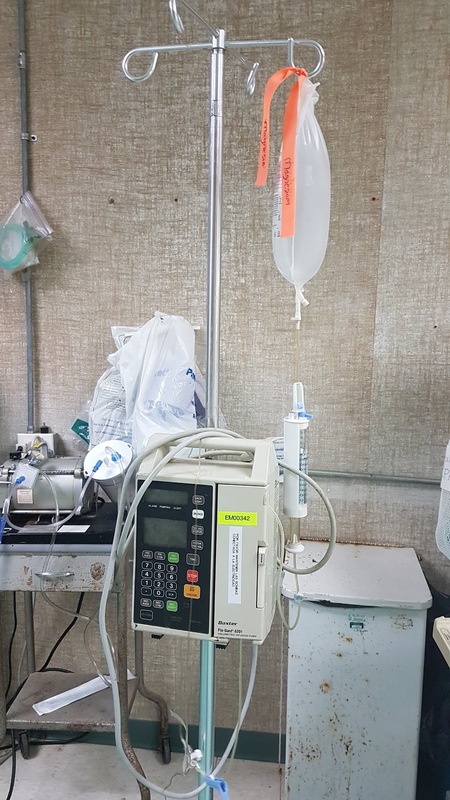 They work an insane number of hours every week and when they are not working, they are still thinking about their patients. They spend hours researching medications and treatments to give the best and most up-to-date care to our patients and decide which is right for each one. As I hand patients the medications that the doctor ordered, I talk to them about how these medication mask symptoms, try to help failing organs work a little harder, and manipulate vital signs. The medications can’t heal their body. Only God can heal their body. Sometimes the doctors try everything they can for a dying patient but nothing works. Sometimes they have to make life or death decisions for patients which they agonize and pray over and collaborate with each other to make. It’s moments like that when I glad to be just a nurse and not a doctor. It came down to a life and death decision on the part of the doctors in our patient Maria’s* case. She was well known to all of us as her sickle cell disease, unknown auto-immune disorder which cause her to have a reaction to any blood transfusion she received, and severe anemia during her pregnancy made her extremely high risk. As if that wasn’t enough, she developed pre-eclampsia (or extremely high blood pressure in pregnancy that can cause seizures) which then turned into HELLP syndrome (a complication of pre-eclampsia causing her to hemorrhage). She was drastically deteriorating before her eyes and her baby was struggling in her womb. The only way treatment to save Maria’s life was to deliver her baby at only 30 weeks of pregnancy. 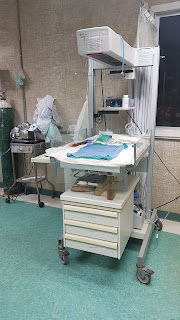 In America, a baby born at 30 weeks, would go to the Newborn Intensive Care Unit (NICU) and do really well with the help of modern equipment and medications. Here in Honduras, being born at 30 weeks is basically a death sentence. I watched as the doctors reviewed her case with each other and even with an OB/GYN in the States. If we did not deliver her baby then she and the baby would both die. If we did, than Maria might survive and a slim possibility that her baby would as well. The decision was made to go through with the c-section. I remember how eerie quiet it was in the hospital as the doctors had all gone home to eat dinner with their families and to pray. I stayed behind at the hospital making sure that everything was ready for the baby. The only sound was one of Maria’s friend’s praying with her and reading scripture to her in the next room. Baby Toni was just 2lb 6oz when he was born. He was the tiniest baby that I had ever been handed during a c-section. Every single medical provider that was site at the time was there to help. And there were even more people who had come to pray. It took over an hour to stabilize him and then move him on the baby warmer into an in-patient room with his mom. He had his own nurse monitoring and caring for him around the clock. In-spite of our best efforts, his lungs were just too premature and he went to be with Jesus only about 52 hours after his birth. It was only a few hours after the c-section that Maria’s condition began to turn around. She stopped hemorrhaging and her blood pressure started coming down. She still needed to be monitored closely but went home 4 days later. Praise God!